The Republic of Bashkortostan, also historically known as Bashkiria, is a federal subject of Russia. It is located between the Volga River and the Ural Mountains. Its capital is the city of Ufa. With a population of over 4 million as of the 2010 Census, Bashkortostan is one of the most populous regions in Russia. One third of of the population are ethnic Bashkir, a great number of whom also live in other parts of the Russian Federation. The Bashkir language is the second language in the Republic and belongs to the Turkic group of languages. Russian remains the region's official language. Beside Turkic tribes, the Bashkir ethnicity includes Mongol and Finno-Ugric-Hungarian elements. In 1921, Bashkortostan was forced to become an official Autonomous Soviet Republic as a part of the Russian Federation. While Bashkortostan accepted the constitution of the USSR in 1937, a new constitution was later adopted, which reduced the political-legal position of the republic. 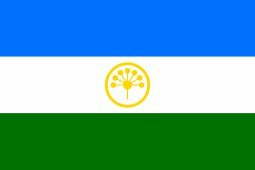 Beginning in the 1980s the movement for improving the political-legal status of an autonomous Bashkortostan gained traction and, in 1990, Bashkortostan declared its state sovereignty. A treaty of accord was signed between the Republic of Bashkortostan and the Russian Federation. Under this treaty, the sovereignty of Bashkortostan was partially recognised by Russia.